Buena Park, a city in northwestern Orange County, California, has a population of a little more than 80,000. A vacation hot spot, the city (which tags itself as Center of the Southland) is home to several tourist attractions, most notably Knott’s Berry Farm. With thrilling attractions, interactive dining experiences, and plenty of shopping options, Buena Park offers a lot on nearly every corner. Buena Park is a community offering its residents many well-maintained parks and facilities, good schools and an array of youth, community and cultural events throughout the year. Tourist, too, love Buena Park, as is evident in the city being named a finalist in the 2012 Most Fun Small Town in America contest sponsored by Rand McNally and USA Today. Located just minutes away from Disneyland, pristine beaches, museums, aquariums and sporting events, and with its warm weather and family friendly environment, it is clear why Buena Park is a great California city. Since 1984, Precision Collision has provided the highest quality collision repair and auto painting available in Buena Park, California, and in all of southern California. Since your vehicle is one of your most prized possessions, when it is involved in an accident or breaks down, an adequate repair just won’t do. At Precision Collision, it is our business to give you the best job possible. Additionally, we serve the entire Orange County area, including the surrounding areas. 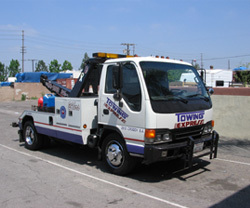 If you are having problems with any of these issues and want to be treated like a valued customer, call 714-997-5050. We offer competitive pricing and will get the job done professionally. Our mission is that every Precision Collision customer is “Totally Satisfied” with our work. We remove the stress from collision repairs, mechanical repairs and auto painting and have customers for a lifetime.